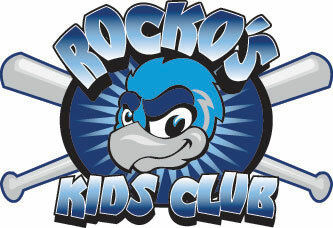 June 3, 2006 - LOVES PARK, Ill. – The Rockford RiverHawks manufactured their way to a 3-2 win over Washington on Saturday. The RiverHawks, limited to five hits, barely needed any. The RiverHawks scored without a hit in the first inning and went ahead in the fourth inning before their only hit of that frame. Washington scored twice in the first inning off Rockford starter Auggie Rodriguez, but Rico Santana tied the game with sacrifice flies in the first and third innings. In the fourth, Nick Johnson reached on an error, stole second base and went to third on a wild pitch. Gooby Gerlits drove him in with a groundout to first. Rodriguez (1-0) went seven innings for the win and permitted one runner to reach second base after the first inning. Washington starter Walt Novosel (0-1) took the loss. Beau Massey got out of a ninth-inning jam for his first save. Infield singles by Jason Boyd and Jason Bucholtz, mixed in with a Massey wild pitch and a Bucholtz steal, put the tying and go-ahead runs in scoring position with one out. Massey escaped by retiring Brett Grandstrand on a popout and Chris Sidick on a groundout. Game two of the three-game series is at 6:05 p.m. Sunday. Kids run the bases after the game on Rockford Register Star Family Night.